LETTER | The call by caretaker deputy prime minister Ahmad Zahid Hamidi to Malaysians working in Singapore not to return to vote if they cannot take leave on May 9 shows an obvious attempt by the caretaker government to encourage a low voter turnout in the coming 14th general election. It also shows the real possibility of Pakatan Harapan taking over and forming the new government. I therefore call on all Sarawakians working and staying outside Sarawak to play our part in defining the change process of our country by defying Zahid’s call and to make arrangement to travel back to speak through their votes by voting against corruption, unemployment, abuse of power, mismanagement of our country’s resources and all the other excesses. I call on Sarawakians to vote against BN and to vote for Harapan for the restoration of our country’s economy and wealth and dignity on the international stage. 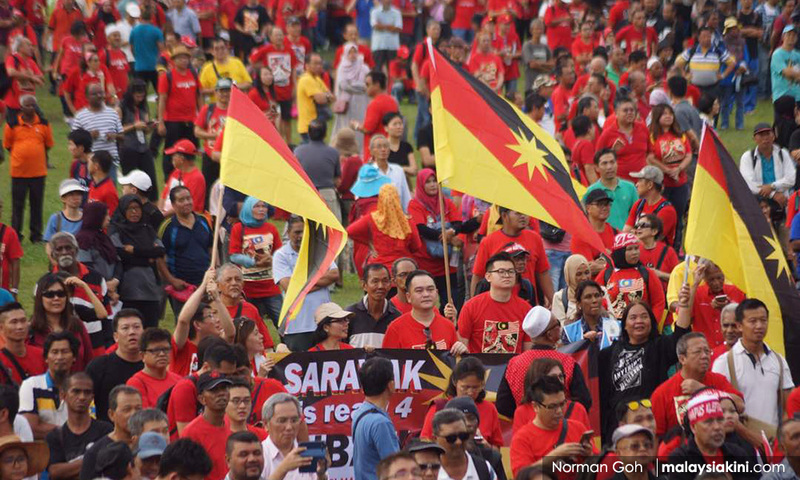 The coming GE14 is the best chance for Sarawakians to take charge and to lead in the transformation of Malaysia from a broken to a strong and thriving country. Our state is one of the most important game-changers in this country by holding 31 parliamentary seats in our hands. Since Malaysia was formed, the people had continuously believed and put their trust in BN. Along with Sabah, we became their fixed deposit state, as a result of which our rights were taken from us and our people have suffered as our natural resources are continuously channelled to peninsula. And we are not known as their fixed deposit state for nothing – because if not for Sabah and Sarawak, BN would have been defeated long ago as could been seen from the fact that they had only managed to win the 2008 election by a simple majority and had actually lost the popular votes to the opposition in GE13. And with the ‘gift’ of the fixed deposit state, what does Sarawak gain in return? A low-income state with low employment opportunities, which have to annually beg the federal government for allocations of funds for the basic needs of our people and empty promises by the federal government of devolution of powers which remains unfulfilled. Therefore, with the coming general election fixed on May 9 2018, I call on the voters in our state to be the kingmakers in being the agent of change in Malaysia. I call on the people not to be trapped in the politics of fundamental needs and to look beyond immediate gratification provided by election ‘goodies’ as handed out by BN in every state and parliamentary election. I call for political awareness among our voters of the significance of democracy and election in mapping and shaping the fate of our children in our state and country for the next five years. I call on our people not to be deceived by the repetitions of SUPP and other BN component parties that the state BN needs a clean sweep of the 31 seats in order to have a stronger and bigger voice in the federal government. This is insulting the intelligence of our people. Some of our autonomies, like the education autonomy which was taken by the federal government in the early 1970s, was when the people had given 100 percent support by voting in the BN candidates to every parliamentary seat allocated to our state BN. Likewise, the rights to our oil and gas. I strongly call on Sarawakians to be bold enough to embrace a change by rejecting BN in the coming GE14 and to give Harapan a chance to rebuild our state by restoring every right which had been taken from us by the federal government. IRENE MARY CHANG OI LING is the state assemblyperson for Bukti Assek.